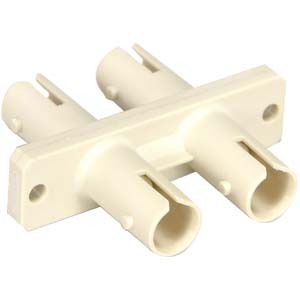 Datacomm Cables (Cables.com)s selection of Fiber Optic Adapters are of the highest quality and are priced far below any competition that we have seen. 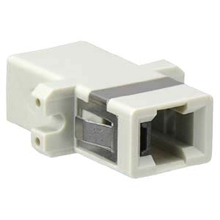 When two or more fiber optic cables have to be connected together we suggest that you use our adapters to make the process simpler and less messy. 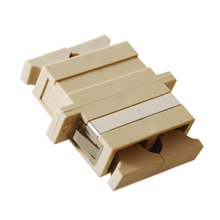 Fiber optic adapters are available in single-mode or multi-mode versions for the respective type of cables. 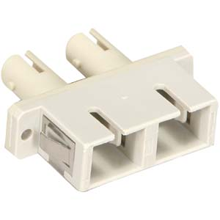 Fiber optic adapters or couples do not just connect two fiber optic cables but can also serve to be a common interface between more than two cables. 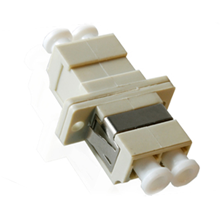 In our fiber optic adapters range in LC-LC/ SC-SC/ ST-SC/ST-ST multimode duplex adapters made in plastic and the itinerary is regularly upgraded. If you have questions, please call us in New York at (631) 617-5190, at (800) 372-3725 [Toll Free] throughout other United States locations, or CONTACT US online.